The FBI is investigating a body donor program in Portland following similar probes in Detroit and Arizona. 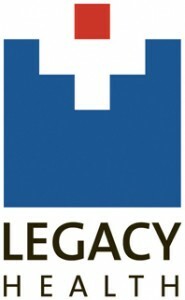 Oregonlive.com reports that the FBI launched an investigation into Legacy Health. But authorities are tightlipped about the probe of Legacy Health. “Other than confirming that there is an FBI investigation into the Legacy Body Donation Program, there isn’t much more I can say,” said FBI special agent David Porter, a spokesman in the bureau’s Detroit field office. The investigation involves health screenings of the bodies and failure to notify families of how bodies were being used, Oregonelive.com reports. Rumors have put a negative light on body donation services. The investigation appears to have its roots in two similar cases in Detroit and Arizona. Posted: 9/9/14 at 9:06 AM under News Story.